The FibreLux Micron Meter is an opto-electronic instrument based on the diffraction of light developed specifically to measure the mean fibre diameter of wool and other fine fibres. The aim of the development was to give wool farmers the means to an affordable and accurately measured fibre diameter of the wool clip on the farm, assisting them to class their wool clip more accurately than was previously possible. This can also give them the opportunity to better manage their income. 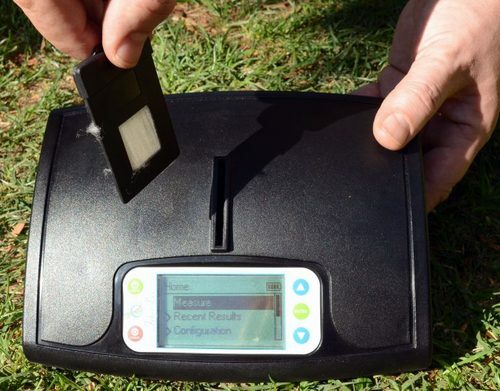 The built in rechargeable battery also gives the farmer the ability to measure the fibre diameter of the chosen sheep anywhere on the farm and get instant results. Sample preparation and measurement is easy and user friendly and depending on the experience of the individual preparing the sample can take as little as one minute. 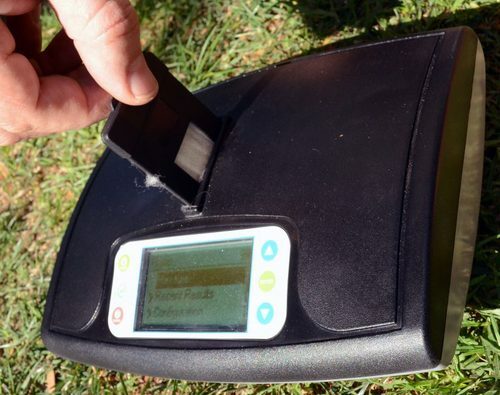 Using advanced algorithms the measurement are adjusted for the effect of humidity and temperature and a standard grease factor for your farm can be applied to give a clean yield per sample. The FibreLux meter measures wool samples between 15 and 25 microns with accuracy better than 0,8 microns. 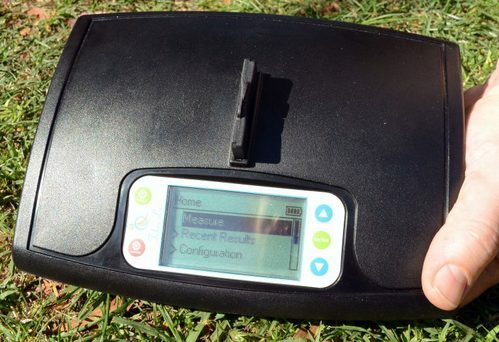 Measurement readings are automatically recorded and up to the last 500 measurements can be downloaded onto a computer for better farm management. The unit is housed in a durable case and supplied with a comb, scissors, ACDC charger, sample holders, USB cable, operating manual and CD. The unit also comes with two clean calibrated samples to ensure that the accuracy can be verified and for support purposes. Most support is done remotely using internet connectivity. 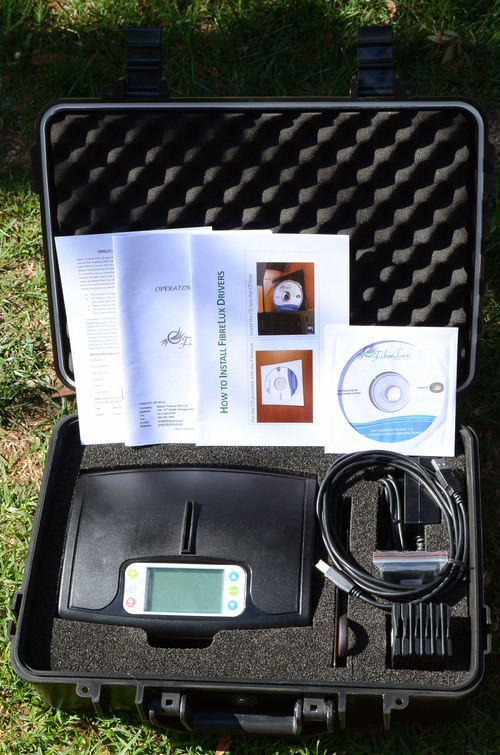 The FibreLux Micron Meter was developed by a consortium of seven members consisting of a multi-disciplinary team of scientists and industry specialists from the Council for Scientific and Industrial Research (CSIR), Nelson Mandela Metropolitan University (NMMU), National Metrology Institute of South Africa (NMISA), National Wool Growers Association of South Africa (NWGA) amongst others. The development and commercialisation was funded by Techonology Innovation Agency (TIA) and it’s predecessor the Innovation Fund agencies of the department of Science and Technology.